Andale Construction, Inc. has worked with major electrical contractors and power companies in Arizona. We conduct primary section replacements as well as emergency cable replacements for SRP and APS. We conduct open trench method of installations and HDD operations in locations where it’s more feasible to bore in the conduits to eliminate R-O-W disturbance or cause traffic build up. Traffic signal electrical conduit crossings have been a specialty scope of work for ACI having to install many work operations for the City of Phoenix, ADOT (Arizona Department of Transportation). Working with natural gas mains or services we only conduct open-trenching and prepare the trench for the gas inspector to approve the bedding and depth. 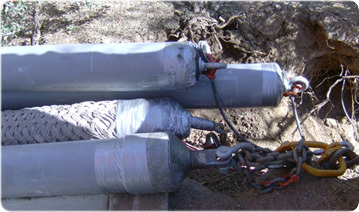 Once approved, a gas company crew comes and installs the pipe then notifies ACI to complete the operation of backfill and compaction to testing specifications. ACI participates in many telecom projects ranging from Longhaul F/O Builds, City Rings, and lateral placements of Fiber optics and coax cables. We specialize with maximizing production in these settings and can deliver when our competitors are limited with productivity. ACI is willing to do whatever it takes to keep the project on schedule and on budget. Our track record working in the Phoenix Valley has shown that ACI is a quality construction company that is ready to deliver. 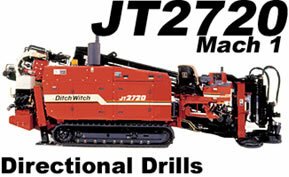 Directional drilling method makes drillings underneath industry complexes possible. 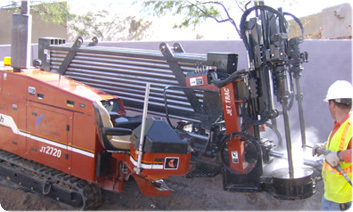 The spectrum of application includes all pipe construction measures within the bounds of gas, district chiller pipelines and drinking water supply, the installation of pressure lines for sewers as well as cable protection pipes for television or telephone cables, traffic routing systems, emergency call boxes or low, medium, high voltage and optical fiber cables. The HDD method is extremely protective towards the environment, causing no ecological damage at all. Minimal damage to the area is only caused within the vicinity of the unit. Several reasons also speak for the application of the directional technique in central town areas. These mainly concern the construction costs, construction periods, permission procedures, soil movement, surface restoration and the traffic, compared to open trenching methods. A well planned HDD operation includes preliminary survey of the bore path area, concerning other existing external lines (utilities) and the soil condition. The choice of the drilling unit depends upon the bore length, the diameter of the pipe to be installed and the soil classification.